Those behind the campaign striving to recall embattled Santa Clara County Superior Court Judge Aaron Persky — the judge at the center of the controversial Brock Turner trial — say state election officials are siding with them in a legal dispute over the ballot. Persky has been on the hot seat almost from the moment he sentenced Turner, a former Stanford University student-athlete, to six months in jail for sexually assaulting an unconscious woman. Critics blasted the sentence as being too lenient. 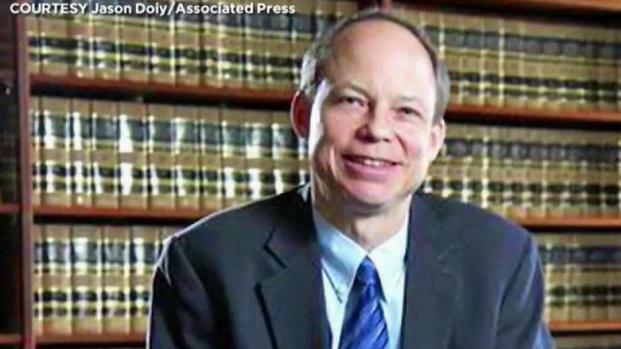 California Attorney General Xavier Becerra on Tuesday is expected to intervene in the recall effort surrounding Santa Clara County Superior Court Judge Aaron Persky, the judge at the center of the controversial Brock Turner trial. Kris Sanchez reports. The recall effort was in full swing until recently when Persky filed a lawsuit arguing that superior court judges are state officers and that their recall should be handled by the state. Since that filing, the campaign has been barred from gathering signatures to put the issue on the ballot. Recall campaign leaders on Tuesday said that the secretary of state supports their position that the recall should be managed by Santa Clara County elections officials and not the state. That jurisdiction decision must ultimately be handed down by a judge, and local judges have recused themselves from the case. While the recall effort remains on hold, Michele Dauber and those behind the movement continue to remain committed to their goal. "It’s not going to work. We’re going to collect our signatures," Dauber said. "He’s going to face the voters. He’s going to be recalled. "Judge Persky has hired Donald Trump’s Arizona state director to manage his campaign and that tells you everything you need to know about Judge Persky’s bias against women and his views on sexual assault," Dauber added. Judge Persky's attorney said his legal team will have further comment when a decision regarding the recall is reached. For now, they will wait for a judge to rule. "Our role here today is to make sure Judge Persky is treated fairly during these recall proceedings," attorney Christine Peek said. Those carrying out the recall effort said they need 90,000 signatures to get the issue on the ballot. They hope to have those signatures in time for the June 2018 ballot.